Coupon Description: MoreBeer.com has a coupon code that will save you $40 on a new 40 Plate Wort Chiller and get you Free Shipping. That is a buck off per plate! This 40 plate home brewing wort chiller is both efficient and economical! This popular addition to your home brewing system will cool your wort to the perfect low temperature to get the best cold break possible! 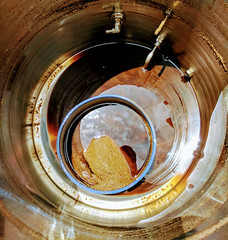 Not to mention getting your wort to the ideal pitching temperature on the first pass while reducing the amount of water you need to use compared to many immersion wort chillers. 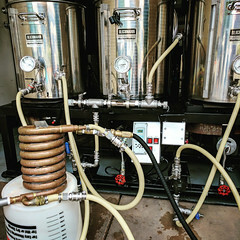 Equipped with a 1/2 inch MPT wort inlet and outlet to match up to the most common size of home brewery hoses, as well as a 3/4 inch MPT water inlet and outlet for easy connection to garden hose fittings. 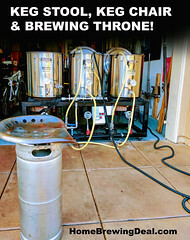 Homebrewing Plate Chiller Promo Code from MoreBeer! 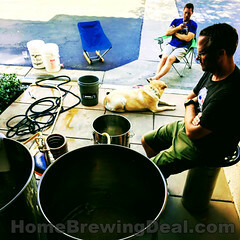 ← Big After Christmas Homebrewing Blowout Sale!